The 2019 Ford Explorer is the latest model of one of the most iconic American SUVs on the road today, and you can drive it at our Wilkes-Barre Ford Dealership. 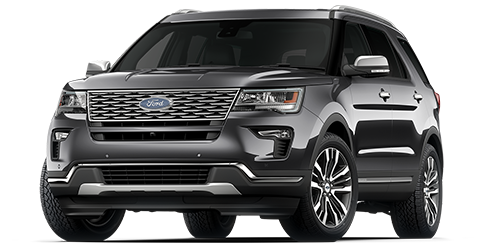 Many competing mid-size SUVs have boxy and awkward styling, but the 2019 Ford Explorer has the sort of sleek and elegant styling that’ll turn heads wherever you are. The new Ford Explorer also has plenty of features to complement this striking exterior style. The 2019 Ford Explorer incorporates standard tinted glass that preserves a high level of discretion and limits the amount of harmful UV radiation that gets into the vehicle. The standard rear defrost feature on the 2019 Ford Explorer will surely come in handy on those cold winter mornings in Wilkes-Barre. The 2019 Ford Explorer even offers optional running boards on all of its trims to make entering and getting out of the vehicle that much easier, which is more than Jeep can say about the 2019 Grand Cherokee. Come into the Coccia Ford dealership in Wilkes-Barre to take a look at the stylish 2019 Ford Explorer for yourself. Schedule a test drive through our website now. Prospective car buyers in the market for a family SUV value spaciousness highly, and Ford ensured that the 2019 Explorer offered plenty of passenger space and cargo space throughout the vehicle. In fact, the new Ford Explorer can accommodate 7 passengers in considerable comfort. 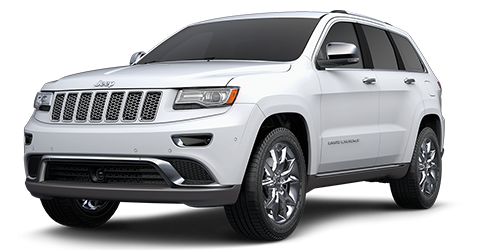 Many competitors in the mid-size SUV class, including the 2019 Jeep Grand Cherokee, can only take 5 occupants. The Ford Explorer is also better equipped than many competing vehicles. The long list of standard interior features inside the new Ford Explorer is highlighted by unique items like the standard rear A/C vents, which is a feature that the Grand Cherokee lacks. In the 2019 Ford Explorer, occupants can stay comfortable, even if they are in the rear seats. The new Ford Explorer even offers optional leather-appointed upholstery, thus giving the vehicle a dash of luxury to spice up its blend of comfort and practicality. Experience the spacious and luxurious interior of the new Ford Explorer with a test drive at the Coccia Ford dealer in Wilkes-Barre today. Learn more about the advanced safety features in the 2019 Ford Explorer when you come into the premier Wilkes-Barre car dealership - Coccia Ford. Test-drive your new dream SUV at our Ford dealership today. The 2019 Ford Explorer has a lot to live up to when it comes to performance, as the previous generations of the Ford Explorer were known for their impressive capability. The 2019 Ford Explorer manages to exceed expectations yet again with its muscular performance. The standard engine in the 2019 Ford Explorer is a 3.5L V6 kicking out 290 horsepower. This engine is paired with a standard 6-speed automatic transmission that maximizes both performance and efficiency. The standard front-wheel drive system in the 2019 Ford Explorer is considerably more stable than the rear-wheel drive system in the Grand Cherokee. Of course, the Ford Explorer also offers an optional 4-wheel drive system for optimal traction in all driving conditions. Take the Ford Explorer out for a spin at the Coccia Ford dealer in Wilkes-Barre today. The 2019 Ford Explorer at our Wilkes-Barre Ford dealership caps off its approach to automotive excellence by offering an exciting selection of tech features. There are simple and reliable tech features like the standard auxiliary input. Occupants that prefer a wireless connection can make use of the standard Bluetooth® technology. The 2019 Ford Explorer even offers optional SiriusXM™ satellite radio on all trims, unlike the Jeep Grand Cherokee. Drivers in Scranton, Hazelton, and elsewhere in the Wilkes-Barre, PA area are more than welcome to try out the cutting-edge technology in the 2019 Ford Explorer with a test drive today at Coccia Ford, a leading Wilkes-Barre car dealership.